Buddhist monks from South Asia have been giving scientists an insight into the workings of the human brain. They took part in a conference at the Massachusetts Institute of Technology, which explored visual perception with the aid of images on a computer screen. The monks - including the Dalai Lama - were drafted in to help. 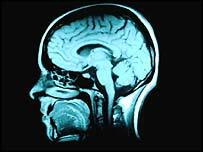 The scientists were trying to find out if concentrating intently on an image had any effect on brain patterns. The monks, as experts in meditation techniques, were seen as perfect subjects for the tests. "What science and Buddhism really share is the goal of understanding the nature of reality," Adam Ingle of the MindLife Institute, who organised the experiment, told BBC World Service's Reporting Religion programme. "The difference is that science uses the scientific method and a lot of technology and objectives - it starts from the outside and probes the nature of reality. 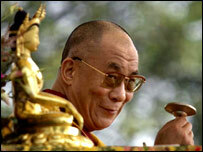 "Buddhism uses the human mind, reformed through meditation, starting from the inside, looking at the same questions." The conference was part of an ongoing experimental project. "Our hypothesis has been that a collaboration - a genuine collaboration between the two - in investigating the mind would be very helpful and beneficial," Dr Ingle explained. Although some may see a contradiction between science, which measures and verifies, and Buddhism, which is experiential, Dr Ingle added that he felt Buddhism had a great deal to offer in attempting to understand the brain. "If you're a Western scientist investigating the mind, does it make any sense to you to have what we're calling the Olympic athletes of mental training on your research team?" he pointed out. "The brain imaging technologies that have been developed are enabling the scientists to objectively verify what these guys are saying." Scientists recently announced that experiments suggested that Buddhists, who try to focus on achieving inner peace, really did seem to enjoy life more. Dr Ingle said part of what he was doing would try to find how and why this was happening. "At this level what's happening is that we're trying to find out whether these mental practices that these monks have been doing are creating brain changes - actual structural changes in the brain - over a period of time," he said. "If so, where do those changes reside and what are the possible effects of them? "On a longer-term basis, it may well be very true and that seems to suggest that these practices actually lead to better states of well-being, better states of health - and in some of the experiments, it's shown to increase the immune function."